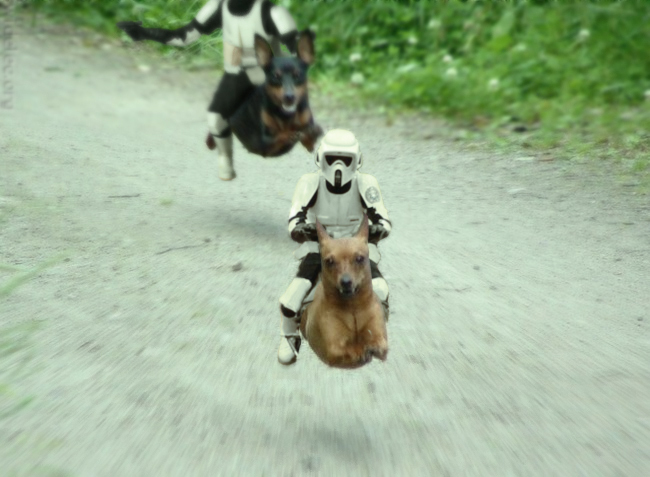 This entry was posted in Humour / Jokes / Funny and tagged dog, K9, ride, speeder, Star Wars, storm trooper on May 1, 2008 by JAB_au. It appears as though the Star Wars Kid featured in this famous video has reached an out of court settlement with his ex-friends over the video that they released onto the internet. While his emulation of a Jedi Knight is somewhat poor, I suspect that many a Star Wars fan has done something similar or equally funny in there moments of obsession. I personally don’t think he has much to worry about. This entry was posted in Humour / Jokes / Funny and tagged Humor, Star Wars on April 9, 2006 by JAB_au.